This article is an overview of the origins of pizza and the continued popularity of the food today. Statistics suggest that we eat more than 20 pounds of the delicious fast food every year. Data obtained from various surveys indicates that pizza remains the most popular of all food choices. Very few Americans of any age pass up the chance to sink their teeth into a slice of pizza. However, a fondness for the convenient food developed thousands of years ago. From around 500 B.C., archaeological investigations and cultural data indicate that European and Persian soldiers commonly cooked flatbread on their shields over an open fire. Once baked, the bread was topped with any number of ingredients that included cheese, dates, olive oil and herbs. This type of meal was also prevalent among the common people. Excavations of the ancient Italian city of Pompeii uncovered an abundance of what we now consider pizza ovens. Preserved samples of primitive pizza were also found. The consumption of the convenient food continued into the Middle Ages. However, Italians did not bake toppings with the flatbread until around 1700. The first modern version of the pie was created in 1889 by Raffaele Esposito in honor of Queen Margherita’s visit to Naples. In celebration, he topped raw dough with red tomatoes, green basil and white cheese to represent the colors of the Italian flag. The dish became known as Margherita pizza. Italian immigrants opened the first pizzeria in the United States in 1905. However, consumption of the unusual food largely remained confined to the ethnic community. While in Italy, soldiers from the U.S. and allied countries were introduced to the unique food. Upon arriving home, they brought their love of pizza with them and Americans soon added pizza to their list of favorite foods. Deep-dish pizza was introduced during this time when the Pizzeria Uno opened for business in Chicago. By the 1950s, pizza chains emerged and in 1957, consumers had the option of buying frozen pizza. Delivering pizzas in cardboard boxes began in the 1960s along with the invention of pizza rolls. Stuffed crust pizza became available in 1995. 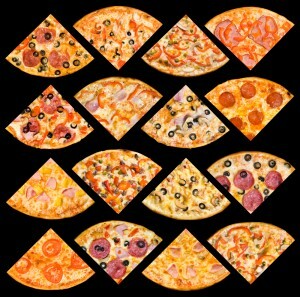 Today, pizza comes in all shapes and sizes with any topping imaginable. In addition to New York City and Chicago, lovers of the popular dish find the best pizza in Las Vegas.